Be Hot. Be Fresh. Be Creative. The Shredwich team’s new restaurant concept was a delicious mouthful… a contemporary, socially responsible, sustainable, fast-casual restaurant… serving hot, hand-shredded, all natural meats and poultry oven-roasted in-house… “created to order” with fresh organic toppings… served in baked ciabatta sandwiches, rice bowls or salad bowls and gluten free flatbreads. Hmmm, okay. Three words to describe Shredwich: 1. hot (no microwaves). 2. fresh (no freezers) and 3. creative (create your own, you‘re in control). While the Shredwich management focused on the menus, operations, locations and architectural concepts, CrossRoads Studios focused our energy on a strategic brand assessment. To gain industry trend perspectives, CrossRoads Studios reviewed competitive brands including: Chipotle, ModMarket, Smashburger, Starbucks, Honeygrow and Chopt. 1. The customer is #1. Shredwich must explain its concept and menu quickly, clearly and simply. 2. Many competitors have transitioned, or are in the process of transitioning, their brands into strong, stand-alone icons. A few examples: the Starbucks circle/mermaid, Chili’s pepper and the McDonald’s “M”. 3. 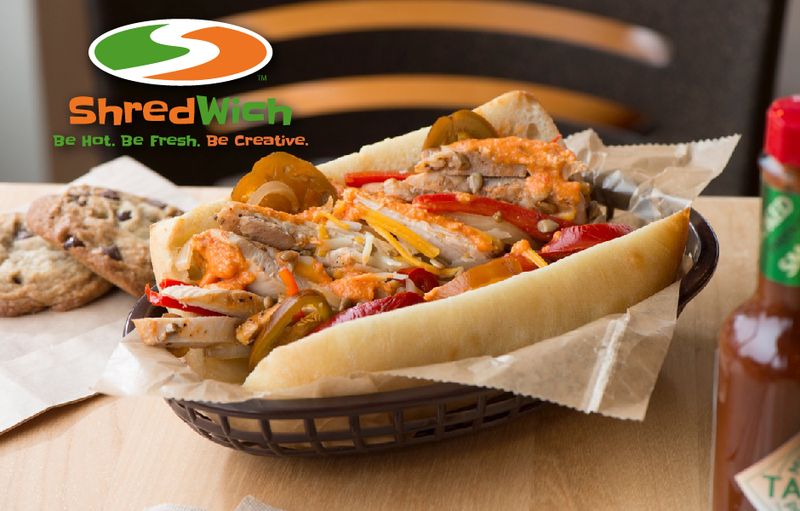 A strong, descriptive tagline, or essence statement, will help separate and define Shredwich. Part of CrossRoads Studios’ mission was to develop easy-to-follow electronic menu boards to guide the customer through the “create your own” process. A major aspect of the Shredwich concept was personalization. However, we were aware that a segment of new customers (primarily male) might be stressed-out with the “create your own” process. To assist, CrossRoads Studios recommended fun, wallet-size “newbie” suggestion cards be provided in the waiting line. The cards would aid customers in finding just their right combo. 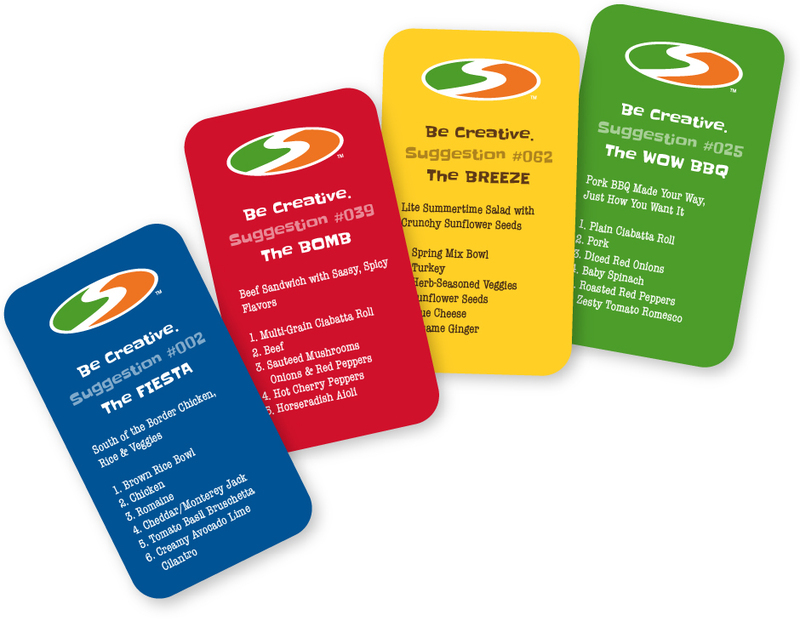 The look and feel of the cards were developed as part of the overall menu board system. …CrossRoads Studios was really able to help us make sure we had a strong identity that would stand-up against any national chain. They took something I thought was already good and made it great.